You are *Diabitic* when your blood glucose or blood sugar levels are too high from the food you eat. Learn the aspects of what to eat, what to avoid and how to manage the sugar levels without getting into a zone of no return. 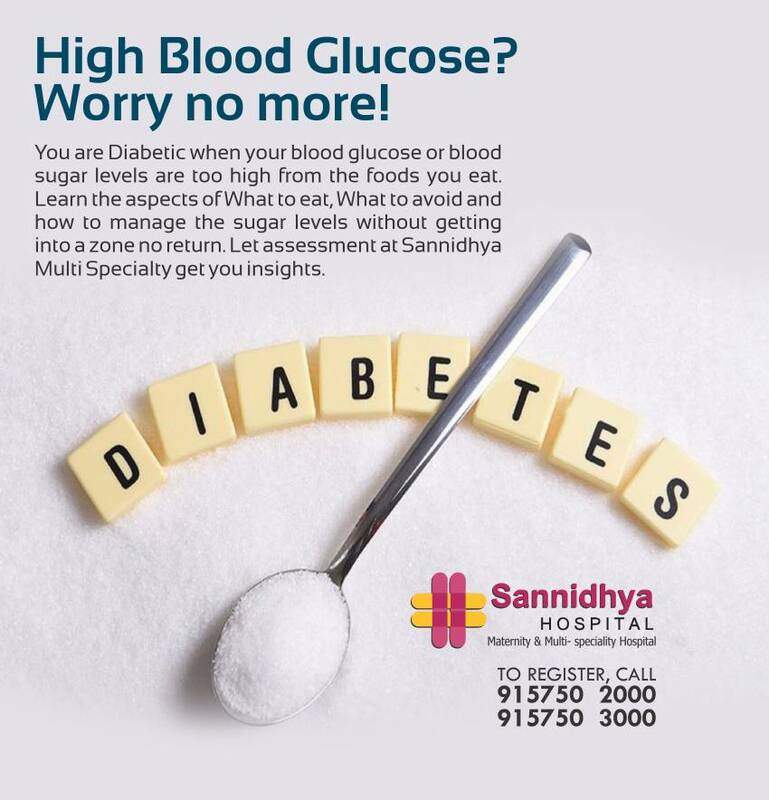 Get assessment at *Sannidhya Multi Speciality Hospital, South Bopal, Ahmedabad* is get you insight. Our department of Diabetes is fully equipped to deal with Diabetes in All Age and any of it’s complications including surgical intervention of Diabetic Foot.